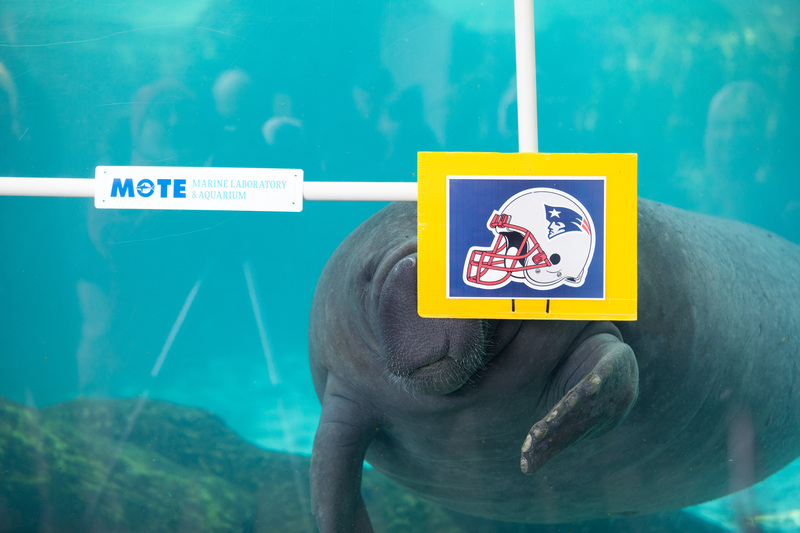 Manatee Buffett picked the New England Patriots! Buffett's previous record is 9-2, while Hugh's is 6-5. Will Hugh be able to keep a winning record? Will Buffett continue his winning streak?